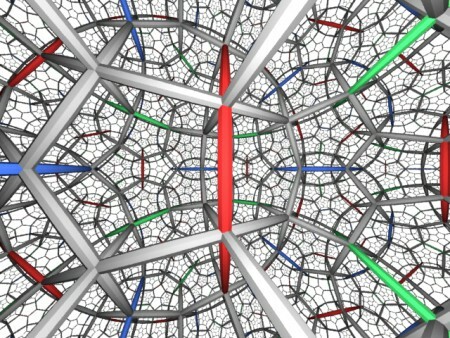 In this series of posts about the history of relativistic cosmology, I provide an epistemological analysis of the developments of the field from 1917 to 2006, based on the seminal articles by Einstein, de Sitter, Friedmann, Lemaître, Hubble, Gamow and other main historical figures of the field. It appears that most of the ingredients of the present-day standard cosmological model, including the accelation of the expansion due to a repulsive dark energy, the interpretation of the cosmological constant as vacuum energy or the possible non-trivial topology of space, had been anticipated by Lemaître, although his papers remain mostly unquoted. 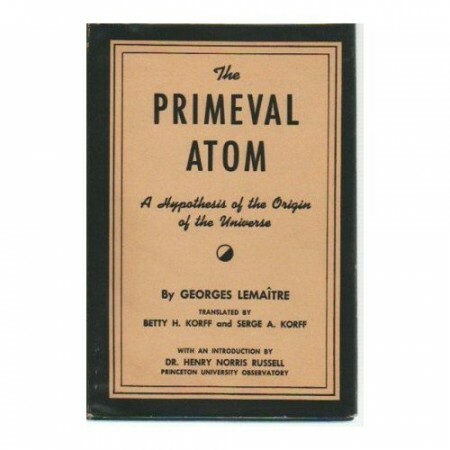 By 1950, when Lemaître published a summary, in English, of his theory, entitled The Primeval Atom: An Essay on Cosmogony, it was thoroughly unfashionable. 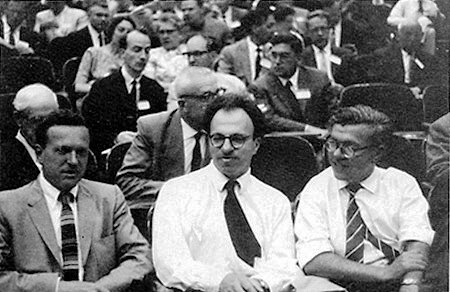 Two years previously the rival theory of a « steady state » universe, supported principally by Thomas Gold in America and by Hermann Bondi and Fred Hoyle in Britain, had met with widespread acclaim. Their argument was that the universe had always been and would always be as it is now, that is was eternal and unchanging. In order to obtain what they wanted, they assumed an infinite Euclidean space, filled with a matter density constant in space and time, and a new « creation field » with negative energy, allowing for particles to appear spontaneously from the void in order to compensate the dilution due to expansion ! 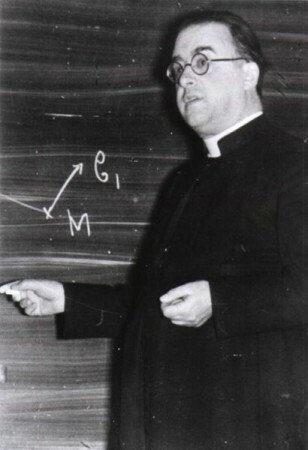 Seldom charitable towards his scientific adversaries, Fred Hoyle made fun of Lemaître by calling him « the big bang man ». In fact he used for the first time the expression « big bang » in 1948, during a radio interview. The term, isolated from its pejorative context, became part of scientific parlance thanks to a Russian-born American physicist George Gamow, a former student of Alexander Friedmann. Hoyle therefore unwittingly played a major part in popularising a theory he did not believe in; he even brought grist to the mill of big bang theory by helping to resolve the question why the universe contained so many chemical elements. 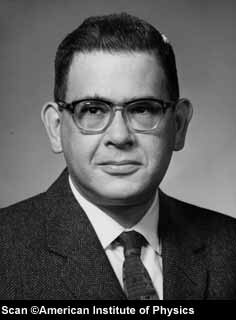 Claiming that all the chemical elements were formed in stellar furnaces, he was contradicted by Gamow and his collaborators Ralph Alpher and Robert Hermann. The latter took advantage of the fact that the early universe should have been very hot. Assuming a primitive mixture of nuclear particles called Ylem, a Hebrew term referring to a primitive substance from which the elements are supposed to have been formed, they were able to explain the genesis of the lightest nuclei (deuterium, helium, and lithium) during the first three minutes of the Universe, at an epoch when the cosmic temperature reached 10 billion degrees. Next they predicted that, at a later epoch, when the Universe had cooled to a few thousand degrees, it suddenly became transparent and allowed light to escape for the first time. Alpher and Hermann calculated that one should today receive an echo of the big bang in the form of « blackbody » radiation at a fossil temperature of about 5 K. Their prediction did not cause any excitement. They refined their calculations several times until 1956, without causing any more interest; no specific attempt at detection was undertaken. In the middle of the 1960’s, at Princeton University, the theorists Robert Dicke and James Peebles studied oscillatory universe models in which a closed universe in expansion-contraction, instead of being infinitely crushed in a big crunch, passes through a minimum radius before bouncing into a new cycle. They calculated that such a hot bounce would cause blackbody radiation detectable today at a temperature of 10 K. It was then that they learned that radiation of this type had just been detected, at the Bell Company laboratories in New Jersey. There, the engineers Arno Penzias and Robert Wilson had been putting the finishing touches on a radiometer dedicated to astronomy, and they had found a background noise which was higher than expected. After subtracting the antenna noise and absorption by the atmosphere, there remained an excess of 3.5 K. This background noise had to be of cosmic origin : it was the fossil radiation. 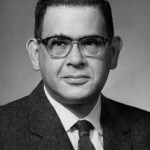 The teams of the Bell Company and Princeton University published their articles separately in the same issue of the Astrophysical journal (July 1965). Penzias and Wilson only gave the results of their measurements, while Dicke, Peebles, Peter Roll and David Wilkinson gave their cosmological interpretation. None of them mentioned the predictions of Alpher and Hermann, still less those of Lemaître. The latter died in 1966, a few weeks after his assistant informed him about the discovery of the fossil radiation (Lemaître is supposed to have commented « I am glad now, we have the proof »). 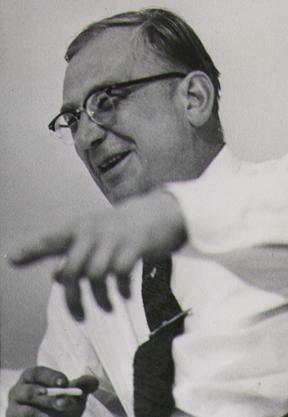 Gamow also died in 1968 without being recognized for his predictions. Alpher and Herman were almost forgotten. Penzias and Wilson gained the Nobel prize in physics in 1978. Nevertheless, at the moment of their discovery, they believed instead in the theory of continuous creation, rival to that of the big bang, while their detection of the fossil radiation practically signaled the death sentence of the steady state model ! 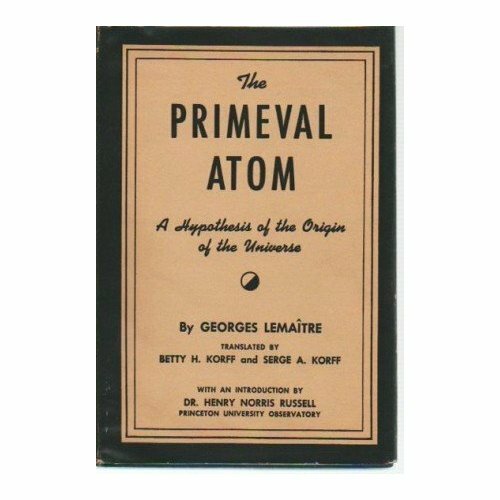 After half a century of rejection, Lemaître’s primeval atom, in the guise of the catchphrase « big bang theory », had at last been accepted by theoretical physicists. In 1980, François Englert and Alan Guth independently proposed the theory of inflation, a putative phase of exponential expansion that took place in the very early universe, may be due to the decoupling of fundamental interactions. Although lacking of any observational support and founded on quite uncertain theoretical ground, the inflationary theory became a new « paradigm » of cosmology. It is hardly refutable because, due its large number of degrees of freedom, it generates as many models as necessary to explain this or that cosmological detail. In 1998 came the first experimental evidence for accelerated expansion (for which Saul Perlmutter, Brian Schmidt and Adam Riess won the 2011 Nobel Prize of Physics). This just signalled that the cosmological constant was back (however renamed « dark energy » to allow for a possible time variation of this repulsive energy field). 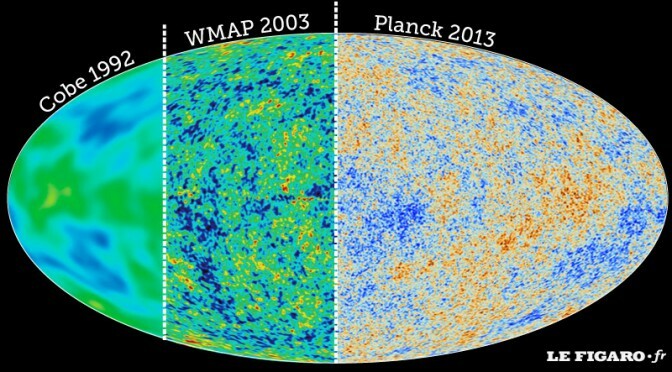 Eventually, between 2003 and 2006, the WMAP satellite could survey the CMB with unprecedented precision and allowed us to fix the cosmological parameters within a few per cent. The precision of data were improved by the European Planck Telescope in 2013-2015. The so-called « concordance » cosmological model (where the CMB observations are combined to other astronomical data) suggests that the age of the universe is 13.81 billion years, that the space curvature is close to zero, and that the total energy density is today composed of 32% of gravitating matter (baryonic, non-baryonic, radiation) and 68% of repulsive dark energy. As a consequence, the ultimate fate of our universe would be accelerated perpetual expansion. Beyond the concordance model, there are intriguing features in the CMB data which do not fit with the usual assumption of an infinite flat space initially driven by inflation. Indeed, power spectrum anomalies suggested a finite, spherical space with dodecahedral topology (Luminet et al., 2003), but the claim was harshly disputed. See my last review of the subject here. Big bang models are based on observations and experiments whose results have been extrapolated as far as possible into the past (it is not possible to get back to the very beginning of the universe) and are constructed by a process of hypothesis and calculation -as is the rule in physics. No other kind of model corroborates as many observed phenomena as big bang theory. The latter, which is now almost universally accepted by astrophysicists, can satisfactorily explain the mass of observations made by the great telescopes and the results of experiments carried out in particle accelerators and retrace the principal stages in the creation of the universe – a process which took not six days, but 14 billion years! It is useful to emphasize that the big bang theory allows for many possible models (depending on cosmological parameters such as the space curvature, the ordinary matter density, the cosmological constant or dark energy field, the space topology, etc.). Some of them are now excluded by experimental data (for instance the strictly flat universe in decelerated expansion filled in only with ordinary matter, namely the Einstein-de Sitter model, much in favour in the 1930-1980’s), but the general picture (i.e. 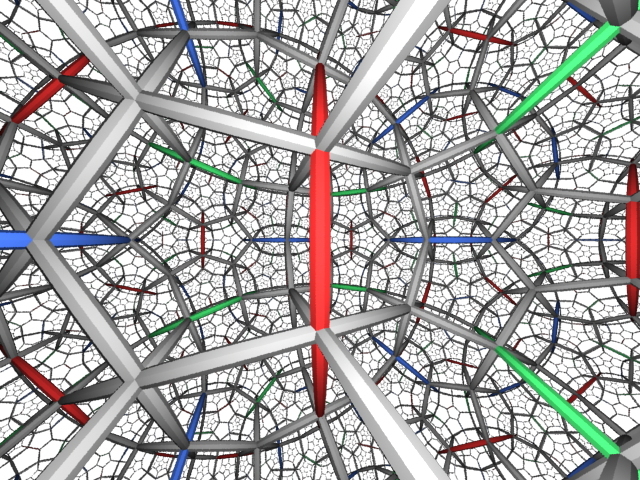 a presently universe starting from an initial hot dense configuration) is much reinforced. A confusion sometimes present in the mind of some cosmologists is that the big bang theory is synonymous of inflation theory. However, the latter – or at least the usual inflationary models – is seriously challenged by WMAP and Planck data when one looks at the power spectrum « anomalies » . Of course the « conservative cosmologists » prefer to consider that the anomalies are artifacts, coming from bad data analysis. Among those researchers who believe that the anomalies are reliable, some inflationists invoke a special feature in the inflaton field, using the well-known theorem « inflation can do everything ». However, adding special features and fitting free parameters in the speculative inflation theory to « save the apparences » looks much like adding epicycles in Ptolemy’s theory. There is no physical model behind this! 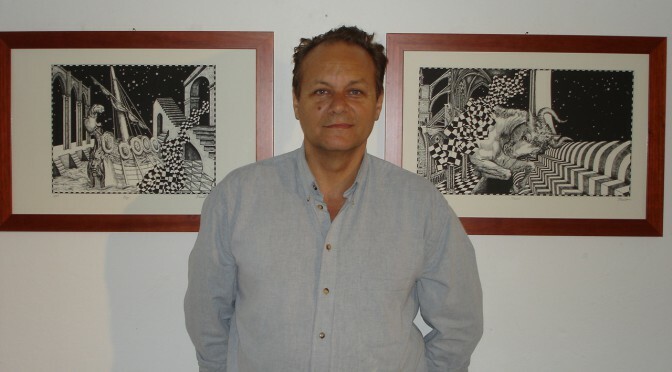 Eventually, some cosmologists think that anomalies are reliable, some of them having a geometrical explanation in terms of a finite space with a non trivial topology or an anistropic cosmology, while others anomalies (violations of statistical isotropy in the same multipoles) are due to local effects. It would not be a fundamental upheaval of relativistic cosmology to modify, or even abandon the inflation scenario. It would be more interesting (in my opinion) to get a definite clue of the finiteness and the non trivial topology of space – but, as said above, all this is already potentially included in the large family of big bang solutions. A major upheaval would rather be related to the confirmation of more radical new views which, in the framework of quantum gravity theories such as superstrings, M-theory or quantum loop gravity (see e.g. Smolin, 2002), allow for entirely new phenomena, e.g. additional space dimensions, pre-big bang models, multiverse, etc. This would really change the present-day cosmological « paradigm ». Neither WMAP or Planck Surveyor satellites can do that. May be some high energy experiments in particle accelerators will provide hints for a drastically new vision of the Universe we inhabit. 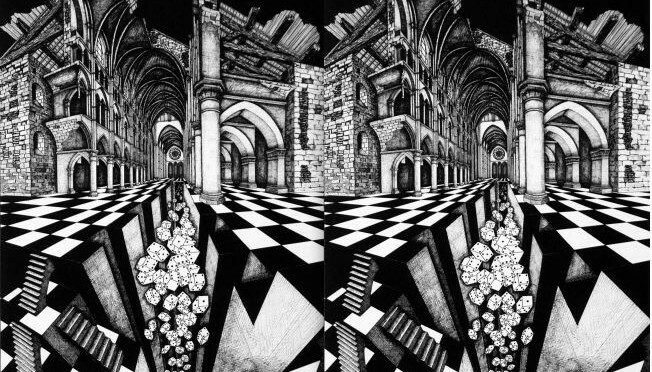 Luminet, J.-P. 2014. L’Invention du big bang, 2nd edition, Le Seuil, Paris. Luminet, J.-P. et al., 2003. Nature, 425, 593. Luminet, J.-P. 2005. L’Univers chiffonné, 2nd ed., Gallimard, Paris. English transl. The Wraparound Universe, AK Peters, New York, 2007. Smolin, L. 2002, Three Roads to Quantum Gravity, Perseus Books.